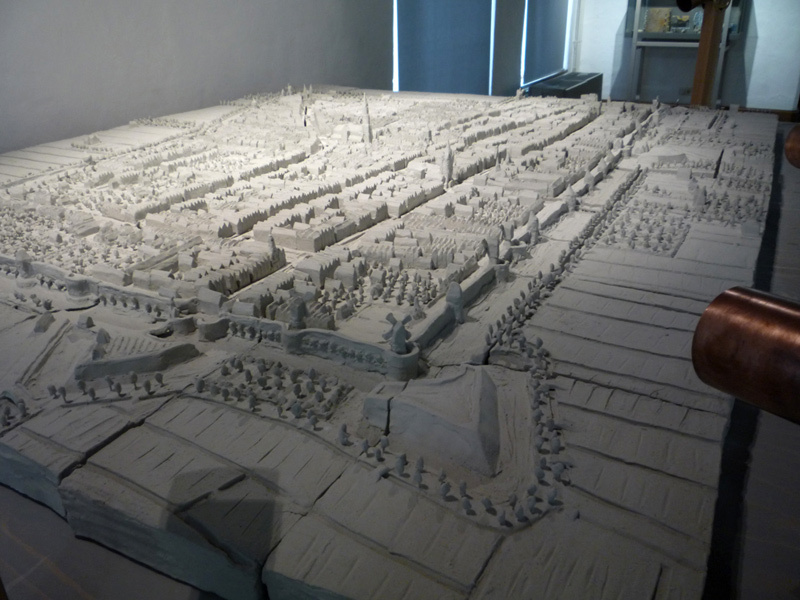 The maquette was commisioned by Museum Prinsenhof and is based on the 1649 map of Delft by Joan Blaeu. It is made from ceramics with Engobe. 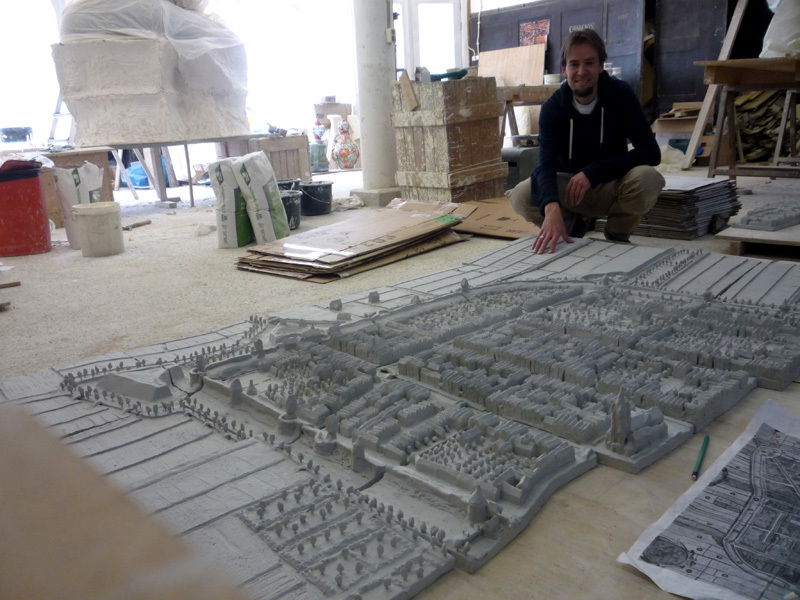 Interesting details: the maquette is made in 61 parts, and Pepijn used about 500 kilo of clay to make the piece. 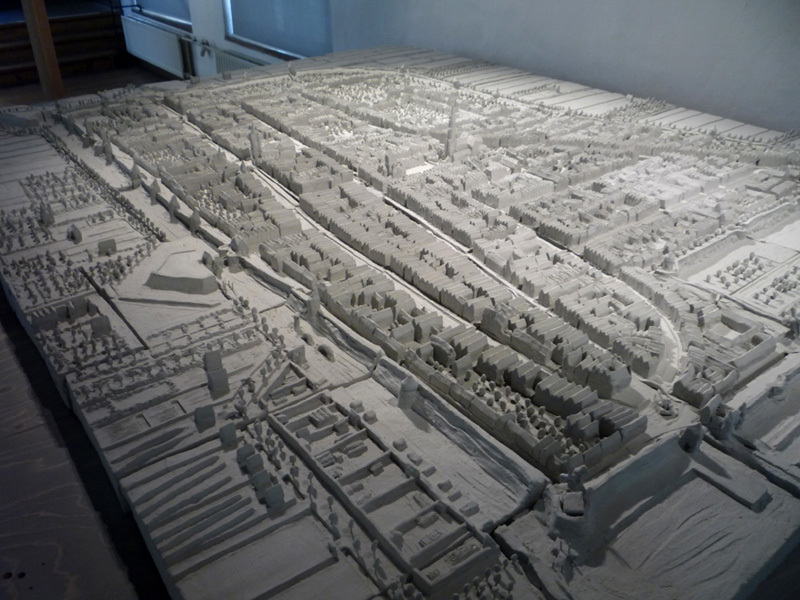 When you look in the binoculars you see beautiful animated short movies about the history of Delft as a ceramic city, potters and the ceramic proces of making Delftware. 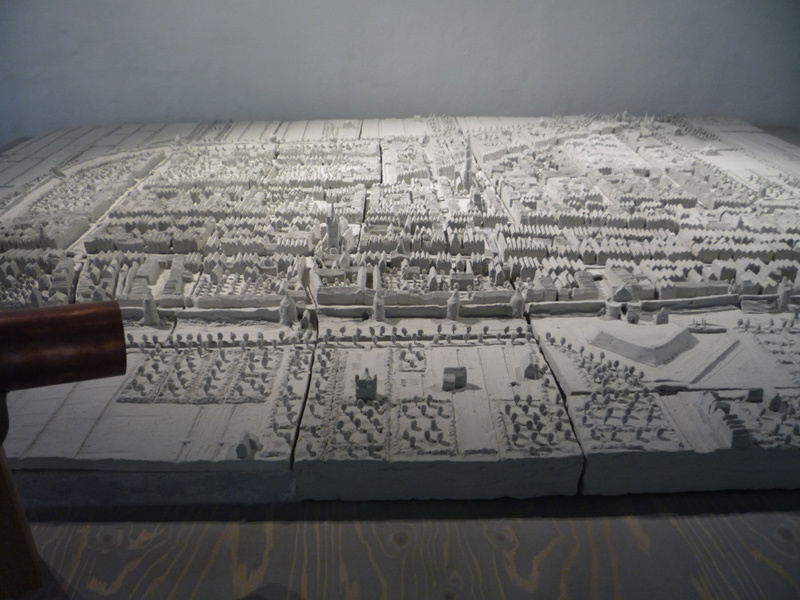 Below the photos there is a timelapse video of the interior decoration of chamber 18 at Museum Prinsenhof with the assembly of the Delft maquette.